Does adapting the game for American viewers ruin the traditions of the ancient Gaelic sport? The Gaelic Players Association is an Irish not-for-profit organization that was created to advance the welfare and to protect the interests of the athletes that participate in Gaelic games at the county level. Since 1999, the GPA has fought for player’s rights and their well-being and have developed scholarships for players that want to pursue higher education. The GPA’s influence has reached out to the United States as well. In 2011, the GPA established a United States advisory board and in 2012, after the devastation that Hurricane Sandy brought to Breezy Point, sent a group of players that helped to rebuild one of the largest Irish-American communities in the United States. A few months later, in 2013, the GPA brought over two teams of some of the best hurlers that Ireland had to offer to play an alternate version of hurling called Super 11s at the University of Notre Dame. The most recent attempt to attract an American audience to hurling took place at Fenway Park in Boston in 2015. A second game has been announced and will be played at the park later this year. While the GPA means well to spread hurling to a new audience, their efforts miss the mark as they promote a game that not only takes away the traditions of an ancient game, but takes away the culture of the game that helped Irish emigrants and their children feel more at home in the United States dating back to the 1850s. Super 11s was developed by Donal Óg Cusack, a former Cork goalkeeper and the former GPA chairman, to create a “more accessible” version of hurling to bring to the U.S. This modified version is played on a soccer pitch with soccer goals. There are no uprights and players are only allowed to shoot for goals (which range from 1-5 points, depending on where the player is on the pitch at the time of the shot). The game is played with a baseball equivalent of a sliotar and consists of four periods rather than two 35-minute halves. Any sports fan will recognize that these rules for Super 11s were introduced as the GPA wanted to use American sporting archetypes to attract Americans to play the game. But these changes are not necessary because the game of hurling has already been played in the United States for over 150 years and is gaining an even larger American audience year after year. 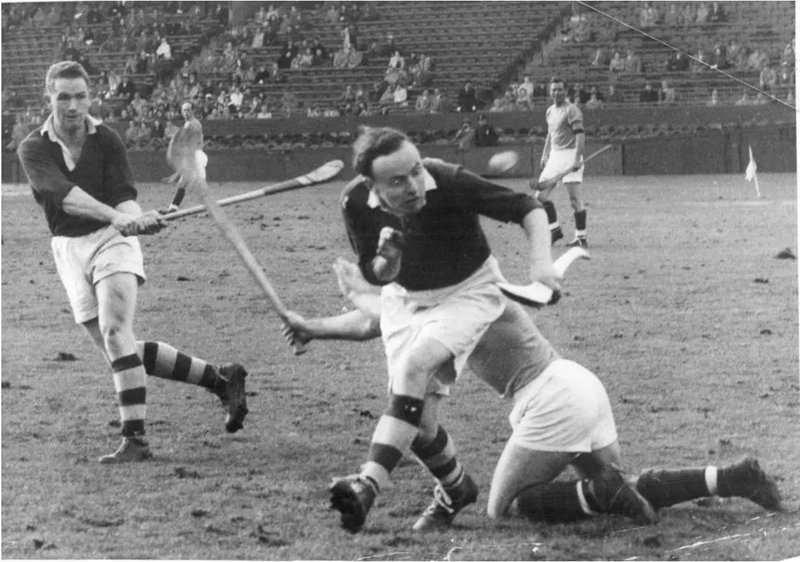 Gaelic Park, 1965, shows the New York hurling team up against an unnamed competitor. The game of hurling in the United States can be traced back to the 1770s. The earliest reference to the sport is a document in which it advertises an exhibition of the sport by Irishmen in the British Army, prior to the Revolutionary War. The Hoboken Hurling Club cites their inception to a story where Irish immigrants challenged the founders of baseball to a game of hurling in the 1850s. 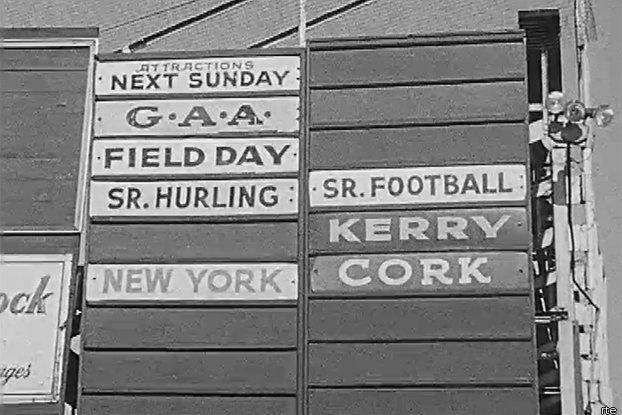 During the early 20th century, various Gaelic games parks popped up throughout the United States, especially in major cities like New York and Chicago. Why would the GPA not play the traditional games of hurling that the Irish have played for centuries? The “Americanized” version of hurling is an insult to those Irish Americans who have been playing the sport for generations and ignores the established organizations that continue to spread the sport in the United States. I couldn’t agree more that this is an unnecessary modification to this amazing sport. If the GAA, GPA and NACB wish to grow this sport with American audiences then it needs to be played the traditional way and not “Americanized” Clubs are growing all over the US and new clubs are popping up all the time. America needs this sport in the mainstream and the clubs, players and supporters need the clout of the GAA, NACB and GPA to get this done. First of all, this is an excellent article and states what needs to be said about the state of American hurling. As an American hurler myself (Tampa Bay GAA, Brevard GAA Team Captain), I haven’t actually heard of Super 11s, but I’m appalled at the not only the concept of it, but the fact that it came into reality; hurling is, as stated in the article, an ancient and honorable sport, and a solid tie to Irish-heritage roots for Americans. Super 11s has yet to come to Florida, and I doubt it would catch on at all here– there are strong Irish communities here, with proper hurling taught and played from the hands of fathers to their sons. Super 11s is an embarrassment to US hurlers, and, lest we be thought of as butchers of Irish culture, ought to be dropped. well, I don’t know. Americans have a history of making things American when they adopt them. The feedback indicates Irish are of one opinion about this, however. Irish sports are played here in Golden Gate Park, San Francisco. What a great, great sport, hurling or Hurley. Loved it when I played it. The fact that a thing can undergo changes is a healthy sign. Another articles in this issue states that Irish hurling itself has undergone modifications over the centuries. Of course the U. S. Marines did not change the cry “Semper Fidelis” found in Limerick in the 1700s. Peter, having spent about 10 days aas a marine at the U.S. Navy base of Treasure Island San Francisco in Sept. of 1962 before I went to Subic Bay in the Philippines, I find it most interesting that the Marine Corps slogan “Semper Fidelis” was found in Limerick in the 1700s. I should also mention that the reigning handball champion at that base in ’62 and ’63 was Navy Chief (E-&)) Boldt, who loved that Irish sport.